Now that we have a control panel installed we can do all (well most) of configuration in a user-friendly user interface you can access in your browser. Where "MAIN_SERVER_IPv4" is obviously the IPv4 of your main server so be sure to change it or you will get an error (doh!). 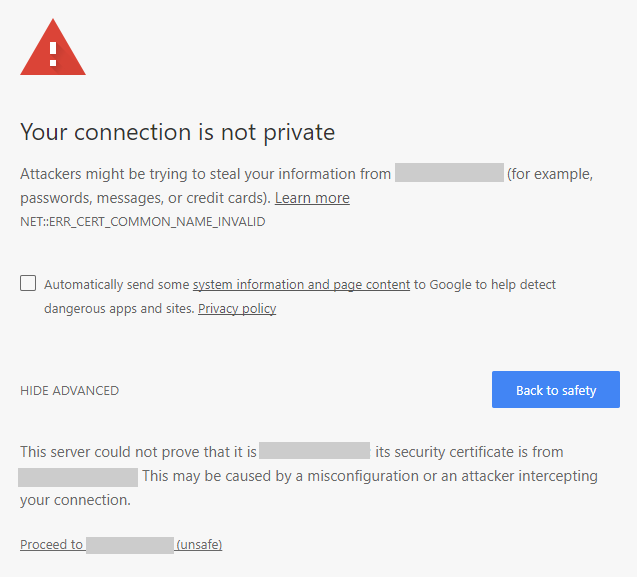 I suggest you use SSL. You will get a warning since it's self-signed. Login with user root and password you use to login over SSH. You will see something like this. You will see a bit different screen. This is my fully configured server. The first thing you want to do is set your email address to get rid of the annoying message that shows after login. You can do this in "CWP Settings > Edit Settings" where all you have to do is enter your/some email and click "Save changes". 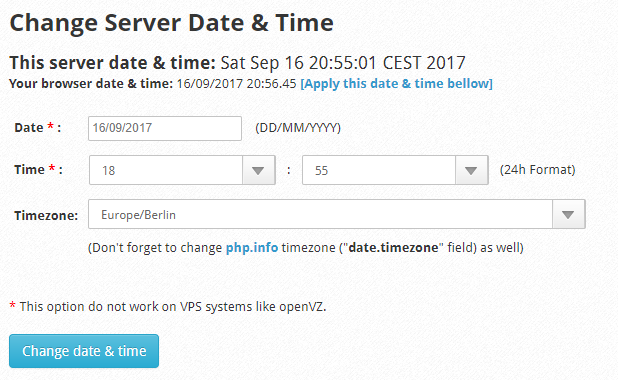 Now move to "Server settings > Change Date & Time" and select the time zone you are in and click "Change date & time". I am located in Germany so I picked "Europe/Berlin". If time still isn't correct adjust it manually. Remember the timezone you set as you will need it later! 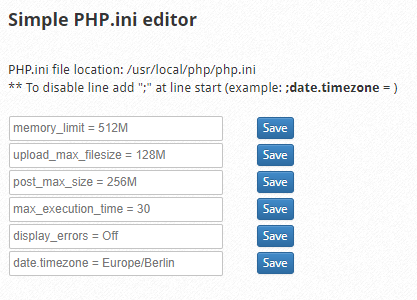 Now go to "PHP Settings > PHP Simple Editor" and change everything like you see in the picture below. Of course, do not set the same timezone as I have. Set it to what you used in step before. You have to click "Save" next to each field to save the changes. Make sure you uncomment the "date.timezone" option by removing ";" in the front. To make your server safe from script-kiddies I suggest you change the SSH port. Go to "Services Config > SSH Configuration" and search for "Port 22". If needed uncomment it by removing ";" and change it to a number between 10000-60000. 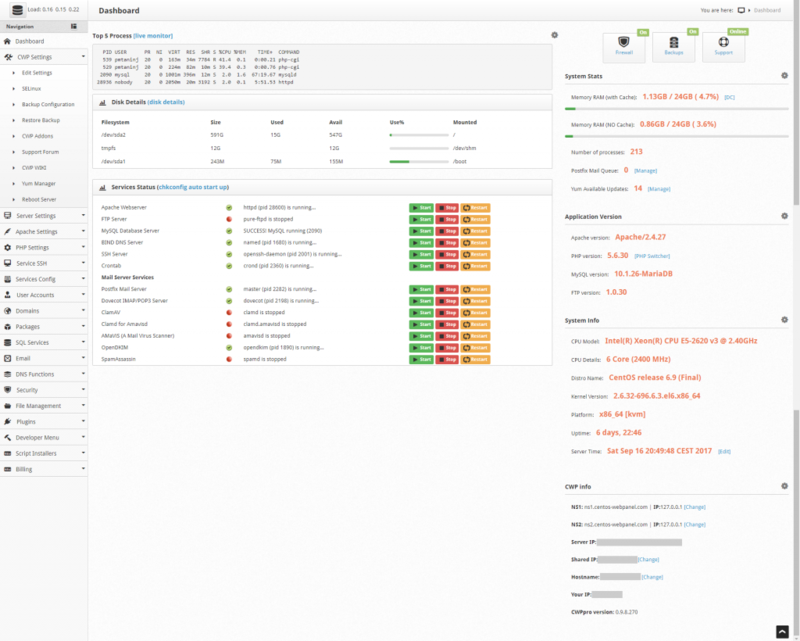 Click "Save changes" at the bottom and go back to the main page of control panel dashboard and Restart SSH by clicking on "Restart" next to it. This is all the basic configuration that had to be done. Of course, there is more to do like add user accounts, create system emails, enable firewall and backups, ... but we'll get to that in the next step. This tutorial is a part of complete Do It Yourself Bulk Email Server Guide. If you are interested in starting with email marketing or want to improve your delivery, open and click rates I recommend that you follow it from the beginning. Almost 15 years in this business and many, many tests show that this is the best long-run solution for every mass email sender with double opt-in, scraped or bought list. Join Hundreds of Happy Email Marketers! Here are most frequent problems users have in this step. Hi, I am re-trying the guide from scratch for the 3rd time. On the dashboard (MySQL Database Server), I am getting the error: “ERROR! MySQL is not running, but lock file (/var/lock/subsys/mysql) exists”. Is this to be expected? Or is there anything to do about this? Thanks. Is sql running? If yes, there is nothing to worry about. What happens if you try to restart it? Yes MySQL is running after ~30 minutes. Thanks.